At present, Beston garbage sorting machine is very popular in domestic and foreign markets. This machine has the advanced technology to process garbage. And many overseas countries give high appreciation for Beston machine, such as Egypt, Romania, South Africa, Philippines, Australia, Korea, Uzbekistan, etc. Nowadays, facing the growing number of urban solid waste, how should we deal with this garbage? It is clear that incineration and landfill will cause great harm to the environment. Therefore, we have to find an effective way to classify and recycle these garbage. 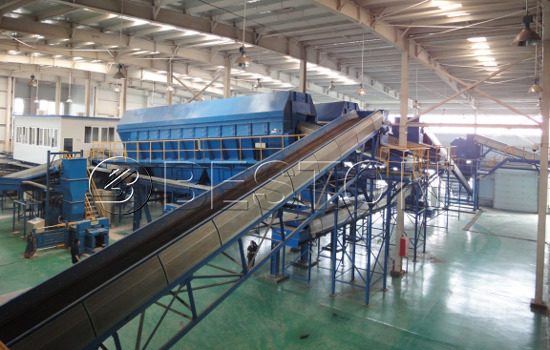 The most useful and popular way is garbage separation system. 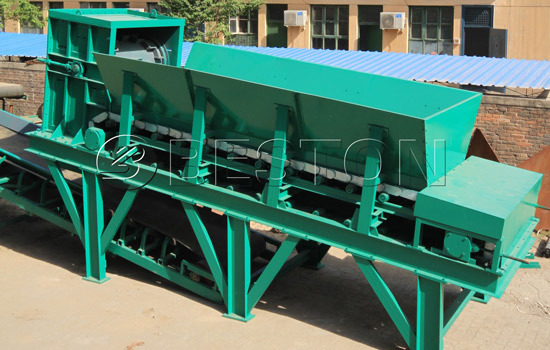 Beston garbage sorter can separate the big garbage whose diameter is more than 400 mm, including sand, organisms, furniture, bags, branches, etc. Meanwhile, the distributor achieves uniform feed. Uniform distributing process lays a solid foundation for next processes, such as breaking bags, screening, sorting, etc. 1. Improving the operating environment of the workers. This kind of garbage facility has special odour control system which can eliminate harmful smell in the workshops. So this system not only ensures the workers’ health but also protects the working environment. 2. Achieving automated operation. This type of garbage segregation machine has a complete automatic system, which means the whole operation process just needs few people to manage. In other words, it is conducive to reduce labour cost for you. 3. High sorting rate. The garbage equipment is carefully designed by Beston Machinery. Therefore, it has good functions, such as high sorting rate. The sorting rate is able to reach to more than 90%. 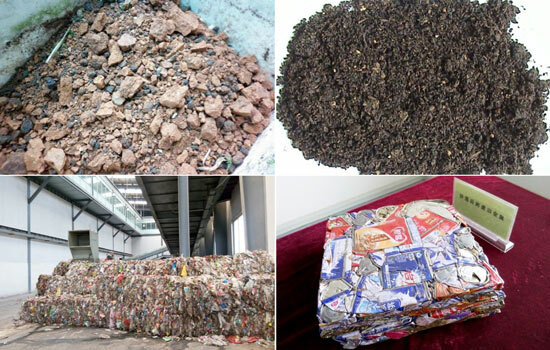 Eventually, we can get the following several kinds of end products from the waste municipal solid waste: inorganic matter, sands, organic matter, irrecoverable fuel (if supplemented by simple manual sorting, hard plastic and rubber etc will be separated), plastic film, ferromagnetic materials. And the sorting rate of film plastic is far higher than other machine machines’, which will lay a solid foundation for next treatment. 1. The plastic film can be made into plastic particles or converted into pyrolysis oil by plastic pyrolysis machine. 2. Waste metal can be smelt and recycled again. 3. The waste glass can be reused. 4. The stone and sand can be made into bricks which construction sites need. 5. Organic matter can be made into biogas by using fermentation system. 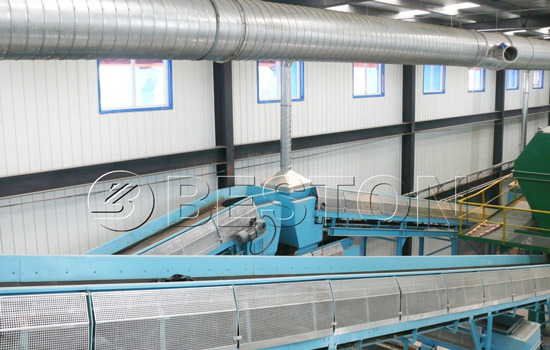 Beston garbage separator mainly includes the following components: plate feeder, uniform feeder, rotating screening machine, magnetic separator, deodorization tower, etc. All of them have different function in operation process. 1. plate feeder. We put all kinds of waste into plate feeder. Then, the plate feeder pushes them into uniform feeder. 2. Uniform feeder. The waste can be evenly distributed by using uniform feeder, which is conducive for next procession. 3. Rotating screening machine. This machine can divide the waste into two parts. The first one is the material which is large than 50mm, mainly including plastic, stone, textiles, rubber overshoes, etc. The second one is the material which is small than 50mm, mainly containing organic. 4. Magnetic separator. Magnetic separator can effectively pick metal out from a pile of the waste. 5. Deodorization tower. This tower can eliminate the unpleasant smell in the workshop, and provide a pleasure working environment for workers. 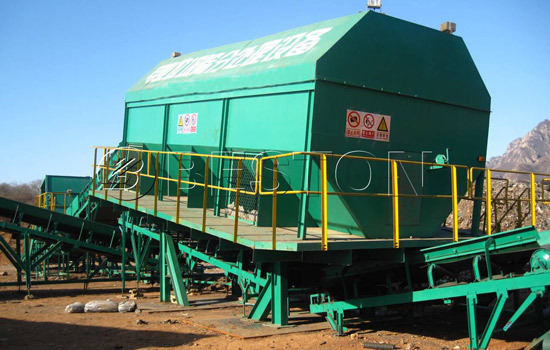 We mainly offer the following types of garbage separation machine: BFX-100, BFX-200, BFX-400. And their processing capacities range from 100 tons to 400 tons. 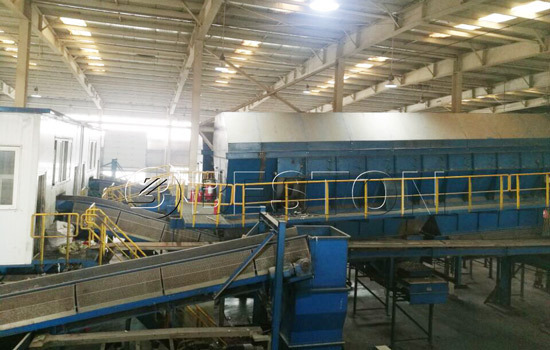 So far, our garbage separator machine has been exported to Uzbekistan. At the same time, we have established long-term relationships with Uzbekistan customers. Welcome to visit our municipal solid waste processing plant! 1. Long experience. 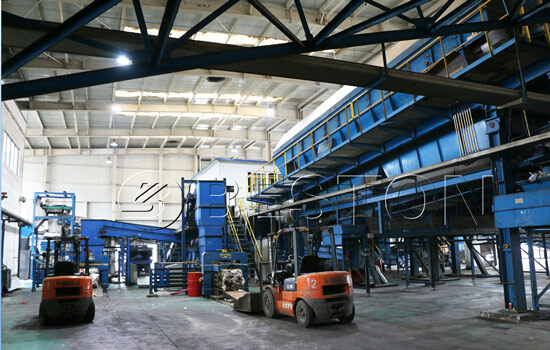 Beston Machinery, as a professional manufacturer, has more than 15-years experience of manufacturing and supplying all kinds of waste recycling plant to overseas countries. Due to the rich experience and warmhearted service, we have won massive customers’ appreciations. If you have interested in our machine, why don’t try it? 2. Advanced technology. We Beston Machinery has our own special technology, like the winnowing machine, big sorter, etc. Because of adoption of these machines, the garbage sorting machine for sale has high sorting rate. 3. Providing varieties of top-class automatic garbage segregator machine and affordable price. The machine Beston Machinery provides has superior quality. Its part adopts high-quality stainless steel which has anti-corrosive function. And parts of machine adopt seamless welded joint, which prolongs the service life. 1. Online services. We have 24-hour online service. 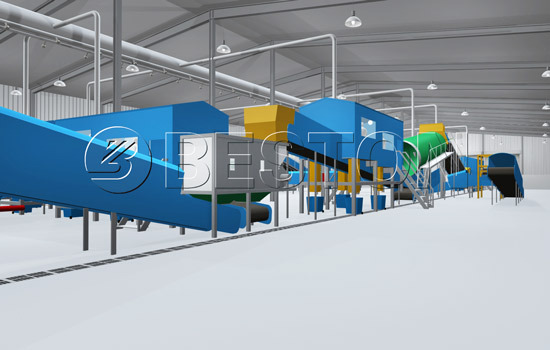 Once you have any question about Beston garbage sorter machine, send email to us right now. We will reply you as soon as we can. 2. Online guidance. Do you have unknown information? Consult us online. We welcome your any information, including operation process, instruction of establishing solid waste management plant, ways of dealing with sorted materials, etc. 3. Site visit. If you have intereste in visiting Beston headquarter in Zhouzheng, Henan province, China, or trash sorting machine manufacturing plant, we warmly welcome your visit at any time. We will pick you up at the airport or in train station. 4. Installation. Numerous customers are worrying about how to install the garbage sorting equipment. Don’t worry. In the light of your requirement and conditions, we will dispatch our experienced engineers to your site. They will help you to install the machine and debust operation process. 5. Turnkey project. It is feasible that we customize and establish garbage sorting system for you. You give us your detailed information, then we design the special garbage sorting plant which belongs to you. After finished, we will deliver full authority of this garbage plant for you. Because we are committed to offering the best municipal solid waste sorting machine and superior quality for customers, we Beston Machinery are always the first choice for many regular customers. Do you have the intention to purchase sorting machine? Send the message to us now!